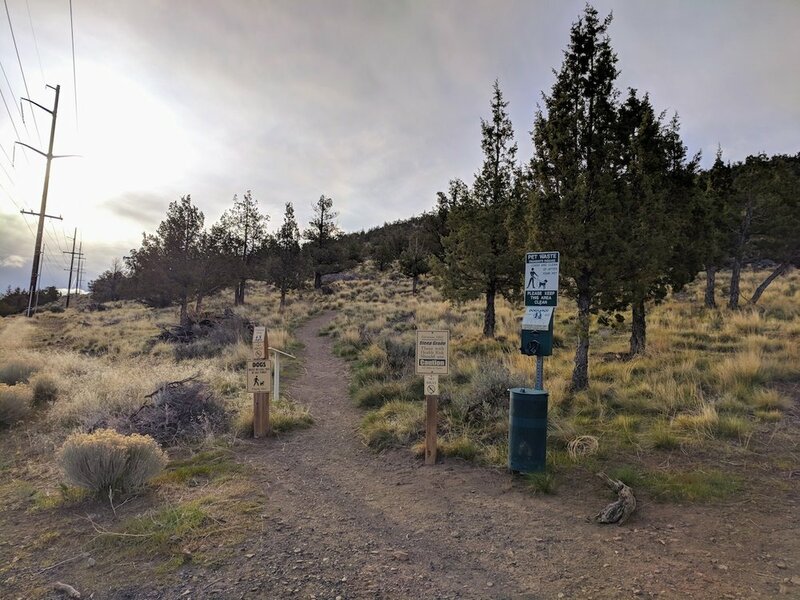 The Cline Butte Loop Trail is an easy-to-moderate hike in Eagle Crest, not far from Redmond, Oregon. 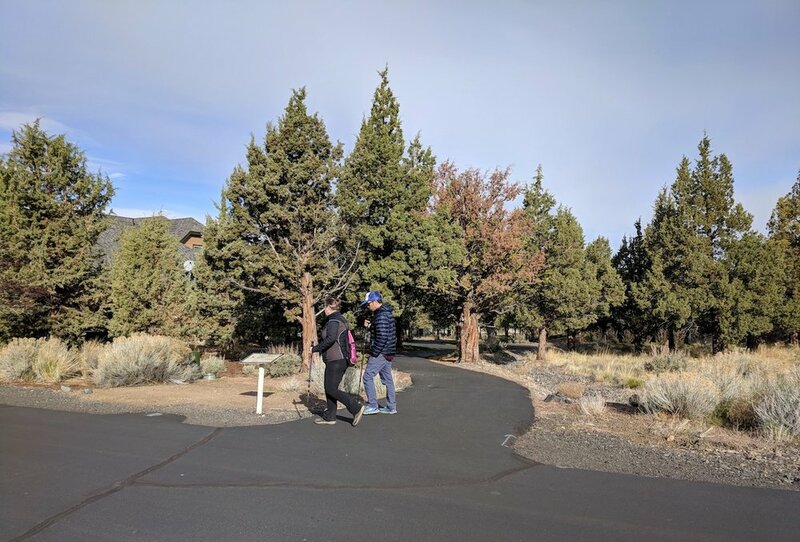 A few residents of Eagle Crest resort walk this one-hour loop for their daily exercise, but the trail is rarely busy. Dogs are allowed on leash. 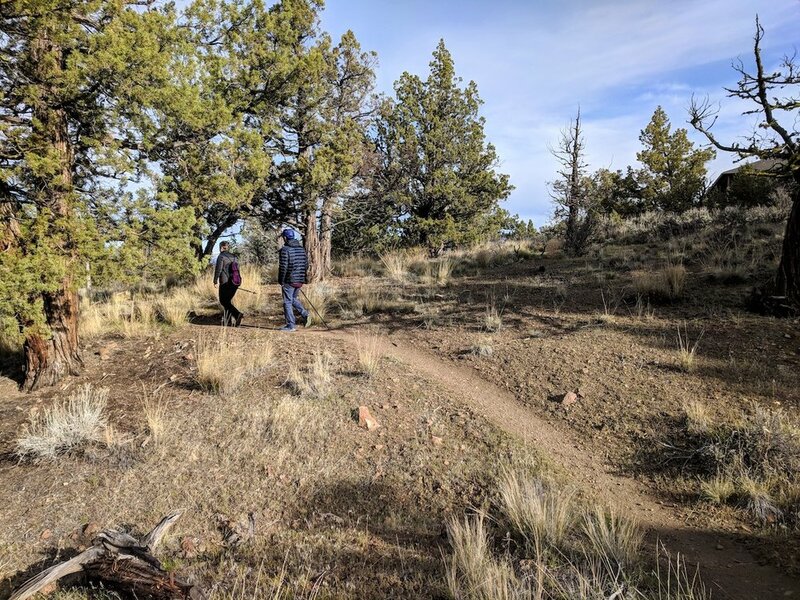 Visitors are welcome to park in the small gravel area next to the trail head, off of Highland View Loop Road. 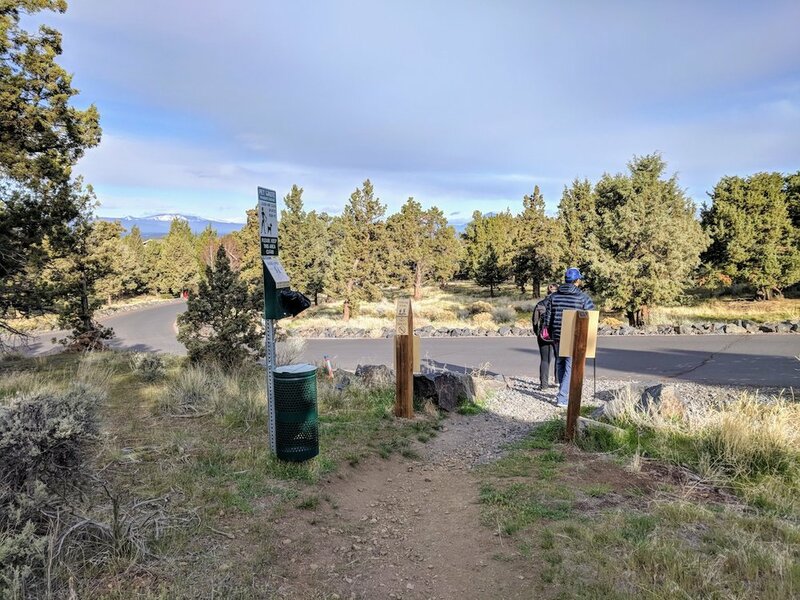 Note that there are three entrances to this side of the Eagle Crest and the one at Nutcracker Drive and Cline Falls Road requires a resident keycard. Entrances at Coopers Hawk Drive on the East and Eagle Crest Blvd (off the McKenzie Highway) to the north-west are both open to the public. There is a dirt road following the power lines to the left of the trailhead – this leads to a barbed wire fence. Instead, follow the path pictured above up the hill. 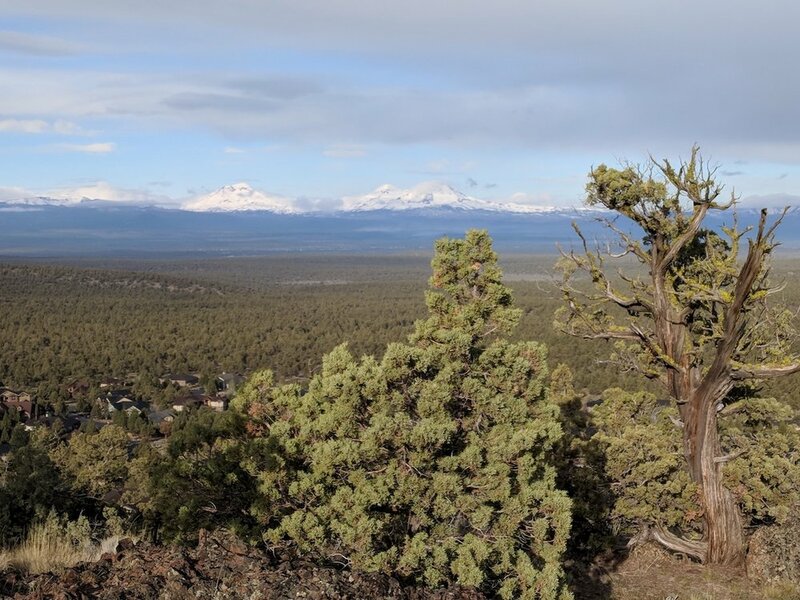 On a clear day, you can see panoramic views of 10 or more peaks, including Three Sisters, Black Butte, Mt. 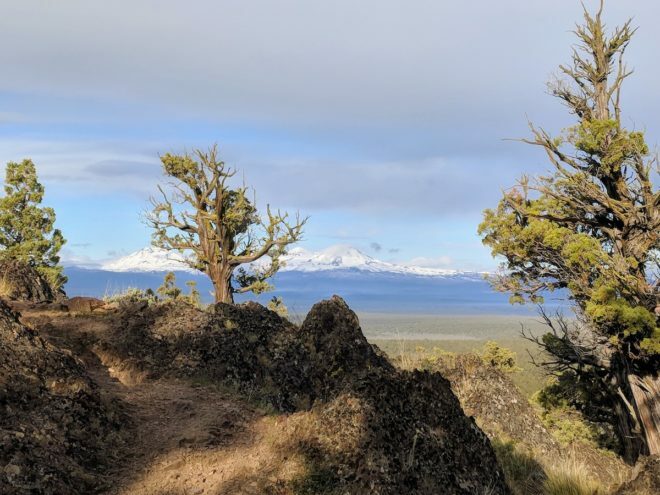 Bachelor, Broken Top, Mt. Washington, Three Finger Jack, Mt. Jefferson, and Mt. Hood. Spectacular! At the top of the hill, there is a clearing with a bench and a plaque that labels the various mountain peaks. Other parts of the hill are fenced off. Continue on the trail south, downhill. 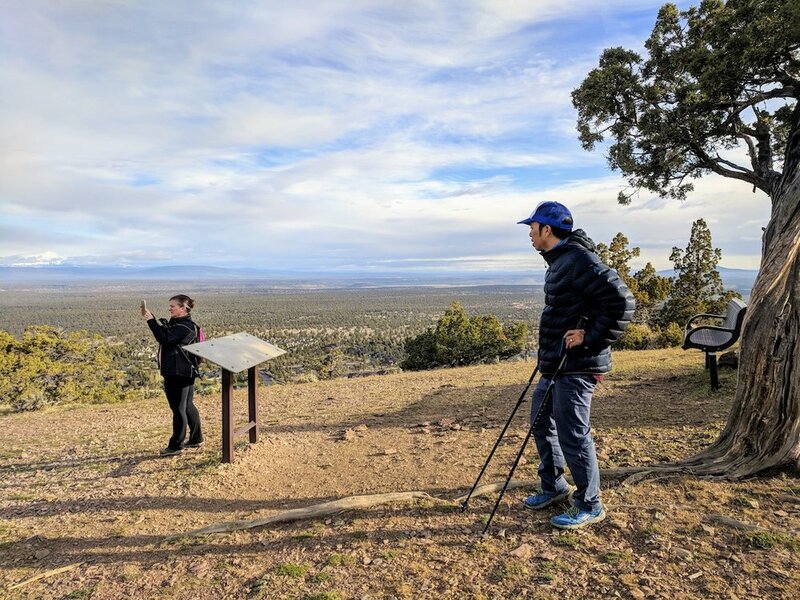 There are a few steep sections with loose ground, so you may want to proceed with extra caution or use a walking stick. The steep declines are relatively short and minor, so it doesn’t take more than a little bit of careful stepping. The trail will pass by a handful of nice houses as it continues through the dry, juniper forest. Keep an eye out for deer, rabbits, squirrels, quails and all kinds of other birds! The dirt trail ends at the trail head by the bend of Highland View Loop. Take a left onto the road, then your first left and first right. In a few yards, you will see a paved trail continuing to the right, off of Highcrest Court. Walk the paved pathway north. You’ll pass through a nice neighborhood with landscaped common area, following a small creek. 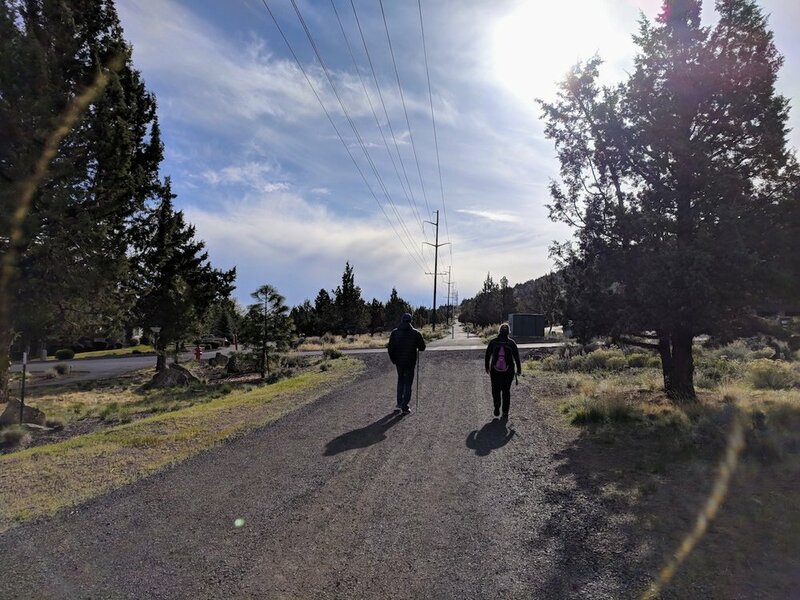 After crossing Trail Creek Drive, look for a wide gravel path under the power lines to return directly to the first trailhead and parking area. This 2-mile loop can be completed in less than 1 hour. Alternatively, you can extend the hike by continuing straight along the paved path, following it toward the lake, pool, and sport center. Then return via road on William Lyche Drive and Highland View Loop. This hike is best done on a clear day so you can get the full effect of the mountain view. Often, they can be covered in clouds or haze. There is very little shade cover on this hike, so be sure to wear sunscreen and bring water. It’s also wise to wear long pants, as ticks can be found in this area. That was so adventure Places. I like it as like this places for traveling. There have many adventure fun. I know about this places but I don,t know how to service there. I want some information about there problem. Can you share this information. Hi Illa. Thank you for visiting the blog. I’m not sure what information you’re asking for. 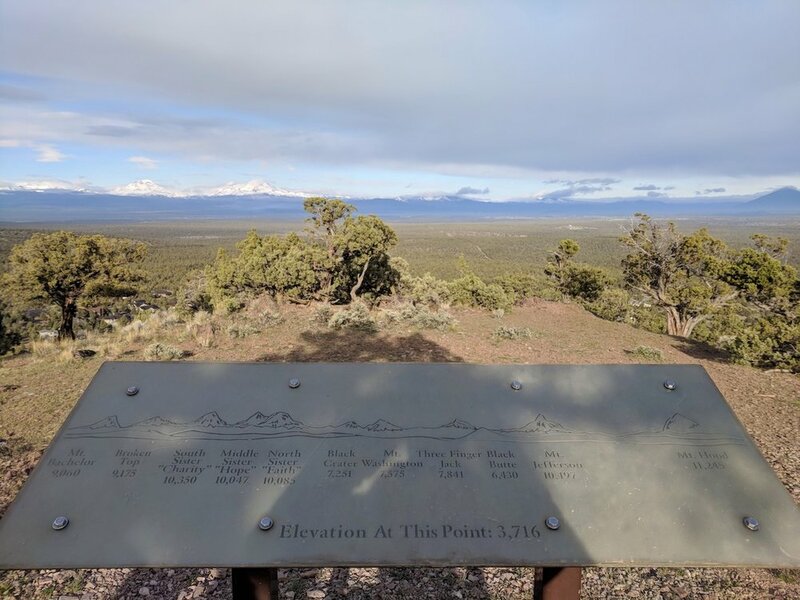 Directions to this hike are included in the post and map.